Juha Ruokangas is one of the pioneer of using thermo treated wood in instrument building. In this video of the Luthier Chronicle you will learn the whole story of this technique and how Juha uses it in his work. It's a fascinating subject. I hope you will enjoy the extract of the video above and will get your Backstage Pass to view it in full. 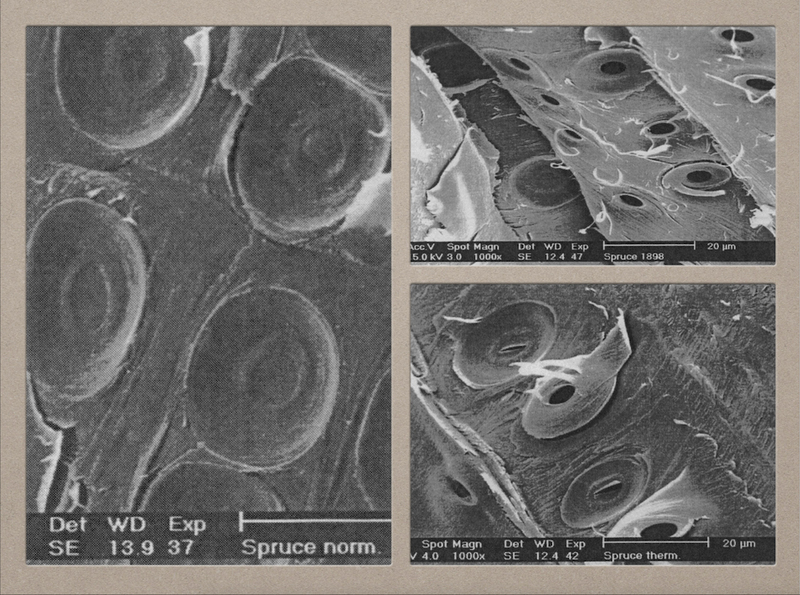 In the pic below you can see the comparison between cells on a sample of Spruce: on the left an untreated piece of Spruce, top right a sample from 1898 and bottom right a thermo treated sample. As you can see the structure is similar on the pics on the right when you can see more closed cell on a untreated piece of wood. 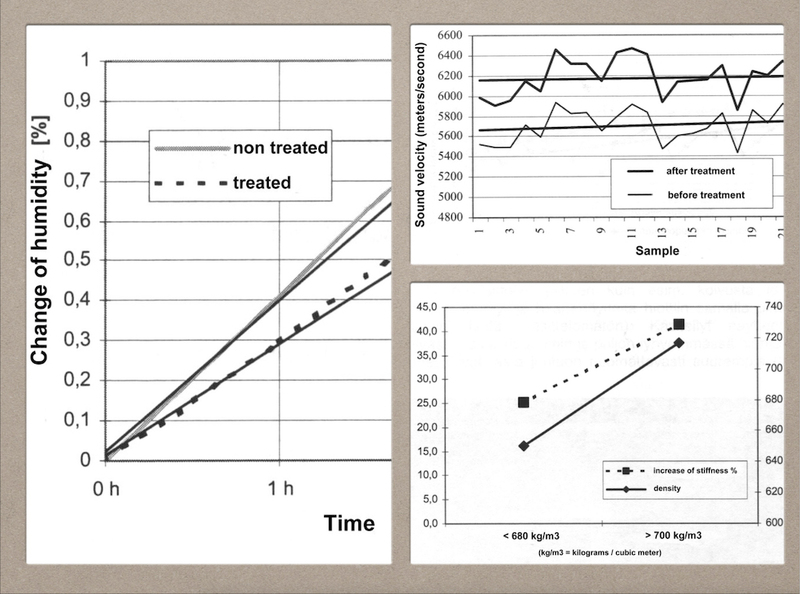 The diagrams below show the impact of thermo treatment on various aspects of the wood : sound velocity, stiffness, etc. This is some of the scientific evidence that thermo treated wood is not a marketing trick, it's really doing something to the woods. The difficulty, as Juha points out in the video, is too find the right process to get optimum result music wise. It's not just about putting wood in an oven, wait x minutes and bingo! During the 2014 Holy Grail Guitar Show, Juha gave a conference called "Thermo Treated Tonewood - Vintage Vibe or Voodoo?". Here's the 45min video recording. Passez Backstage pour accéder aux vidéos exclusives intégrales et bien plus !